For all pineapple and fruit lovers, this yummy cake will be an absolute treat ! 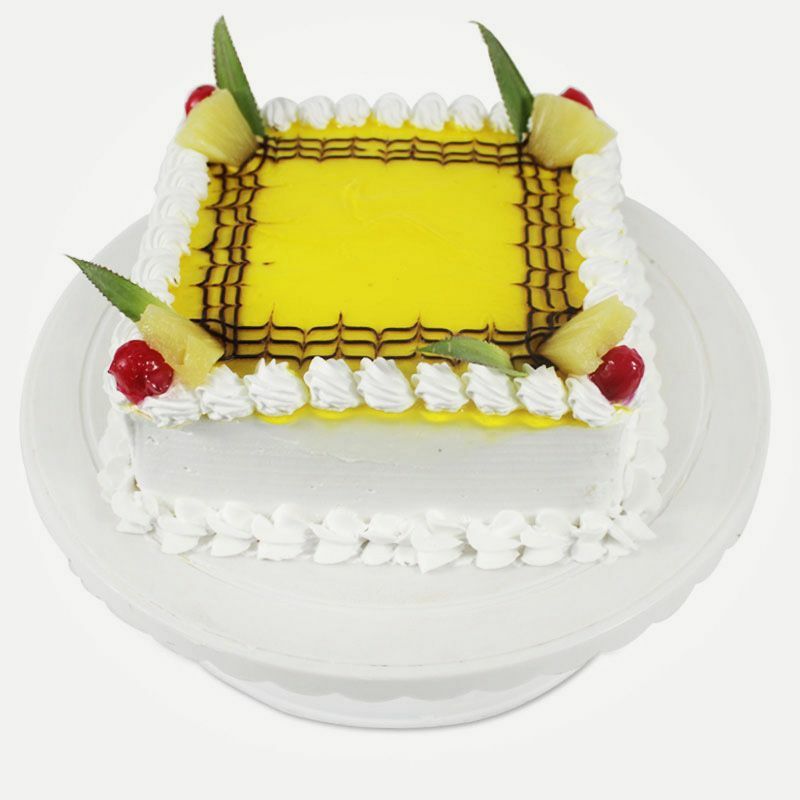 Giftacrossindia store brings you this super-delicious 1 kg pineapple cake which is an all time classic and loved by many. This 1 kg creamy pineapple cake is layered with sweetened whipped cream on a soft and spongy base, complementing the tangy-sweetness of pineapple wonderfully. 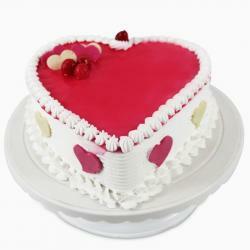 This freshly bakes and mouth-watering cake is perfect to celebrate all kinds of special occasions. 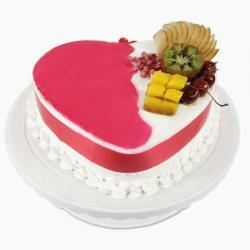 Send this cake to your dear ones in India. Product Consists: 1 Kg Square Pineapple Cake.